BHP Group has announced some exploration success in the shape of a potential new iron oxide, copper and gold mineralised system near its Olympic Dam operations in South Australia. 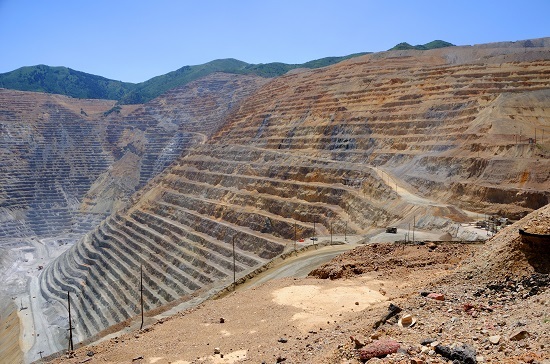 The mining giant identified the new system around 65 km Southeast of the Olympic Dam through a copper exploration programme that included four diamond drill holes totalling 5,346 metres. The drilling produced assay results of between 0.52% copper for 124.5 metres at drill hole AD-22 to 6.07% copper for 180 metres at AD-24. At AD-23, the testing implied 3.04% copper for 425.7 metres as well as 2.11% copper for 77 metres at AD-25. The drilling also revealed associated gold, silver and uranium deposits. “This exploration project is at an early stage and there is currently insufficient geological information to assess the size, quality and continuity of the mineralised intersections,” said BHP in a statement. News of BHP’s potential new deposit is welcome in the mining sector, which has seen little in the way of new copper discoveries in recent years.